THINK: Blade meets Ghost Rider (because it is)! WHY THEY'RE COOL: With the rise of the Doctor Strange movie everyone is running around talking about The Defenders, but that wasn't the sorcerer supreme's only team. 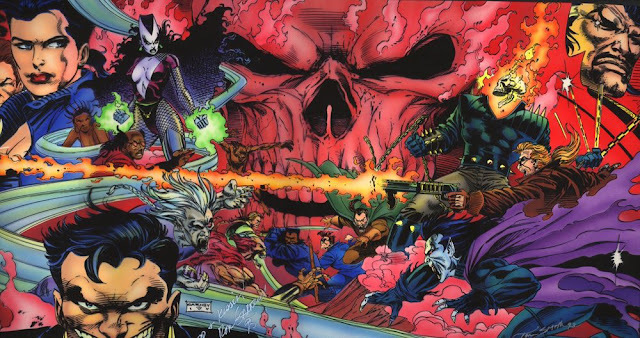 When the horrors of the supernatural threatened, heroes that seemed ripped from the pages of horror united as The Midnight Sons to form our first line of defence. Don't believe me? 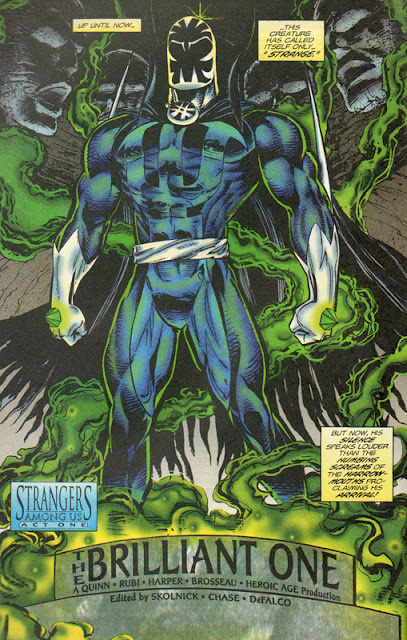 The membership not only included two Ghost Riders (three if you count Vengeance), Werewolf by Night, Hellstrom the son of satan, and three vampires (Blade, Morbius and Hannibal King), but a 'Man-Thing' and a group of humans charged with stopping The Darkhold being assembled - The Darkhold being akin to the Bible of evil on earth. If the team added Franken-Castle they would've been complete! In crossover after crossover the Midnight Sons battled a possessed Blade, Lilith (where has she gone?) and invasions from other realms. Backed by the pre-X-Men art of the Kubert brothers and crazy cool glow-in-the-dark covers, this was high-scale terror and action with few 'super-powers' to be seen. STAR PLAYER: Blade. Sure Hellstrom is one of the best guys ever created, but he nor the riders or Doc Strange could hold a candle to Blade. The see-saw of weather he could hold his hatred for vampires at bay while working alongside two of them was the juiciest part of the story. He was more of the enemy within than Starscream, yet because we all instinctively hate vampires, we were usually on his side. RECOMMENDED READING: Midnight Massacre is where Blade's duality really stole the show, as the possessed Daywalker literally kills his way through his teammates one by one. If you want to see another crossover that undoubtedly helped inspire the Blade films, check out Siege of Darkness - with supernatural nightclubs and shifting alliances on every page, it is one big bang of horror and carnage after the other. Hell yeah Dan! Now this, this is a truly vastly and criminally underrated Marvel team. why they don't have their own series again and a netflix series is beyond me. The roster alone is so packed with star power it's redonkulous! Cheers Dale! I thought this team would be back by now too - heck I thought horror comics in general would be. Now Marvel Cosmic is in overdrive, hopefully they'll focus on other corners soon enough!